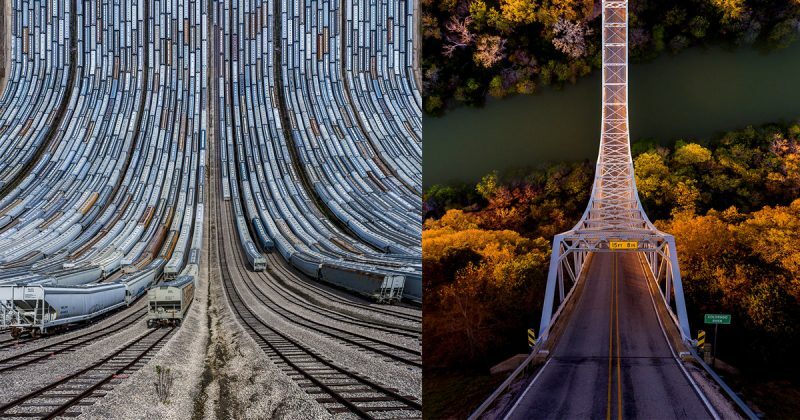 Turkish digital artist and photographer Aydin Büyüktas continues his dizzying landscape series Flatland with this new collection of collages shot in various locations around the United States including Texas, Arizona, New Mexico, and California. 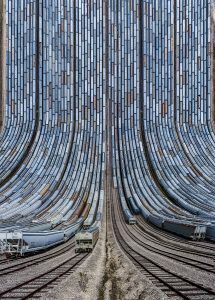 Each image requires around 18-20 aerial drone shots which are then stitched together digitally to form sweeping landscapes that curl upward without a visible horizon. As we’ve noted before, Büyüktas found inspiration in a century-old satirical novel titled Flatland about a two-dimensional world inhabited by geometric figures. You can see more from the series on his Facebook page.